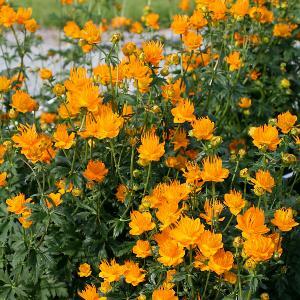 Globeflowers are very popular perennials, bursting into colour as they do in late spring and early summer. 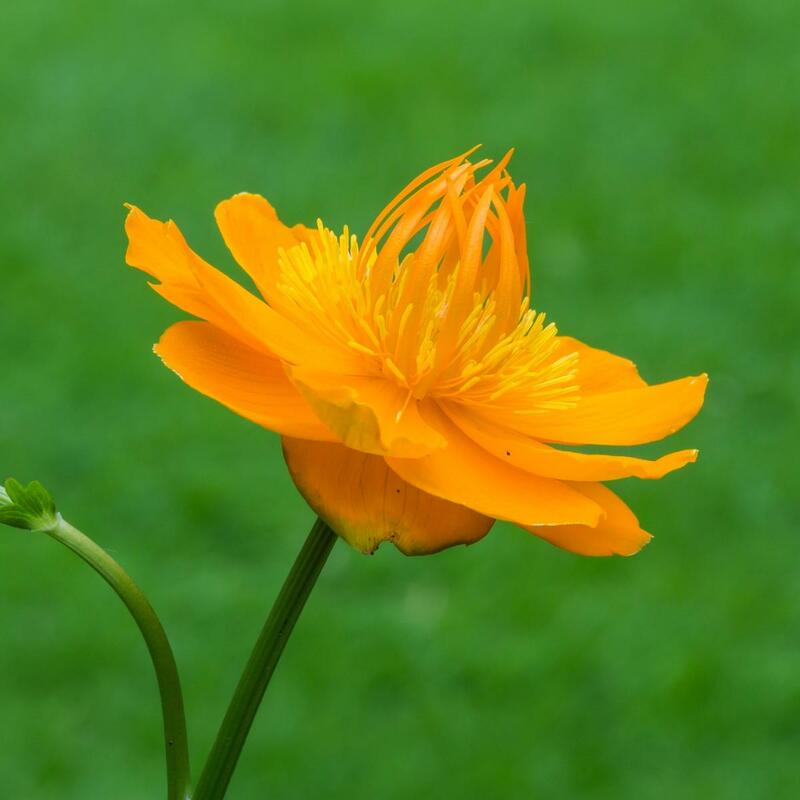 Trollius chinensis ‘Golden Queen' is one of these. It provides a pumpkin-orange explosion in May or June. Sometimes called Buttercups, these grow well in asunny or part-shaded border, also at the edge of a moist woodland, but this isn’t a demure-looking buttercup: it’s a dazzler. 'Golden Queen’ is an exceptionally large-flowered form of Trollius chinensis, commonly known as the Chinese globe flower. This comes from north-east China and Siberia, and grows in damp, cool meadows where summer rainfall tends to be heavy and winters are cold, so hardiness isn’t a problem. A clump-forming perennial,height 90cm and spread 45cm. Supplied in 9cm Pots.